Liquid Wrench L112 Penetrating Oil Spray - 11 oz. Features and benefits: Free stuck nuts, bolts or locks dissolves rust and cuts through grease quickly penetrates corrosion reformulated new clear formula use on garden hose nozzles, clamps, pipes and frozen mechanisms premium lubricants with formulations designed for specific applications. 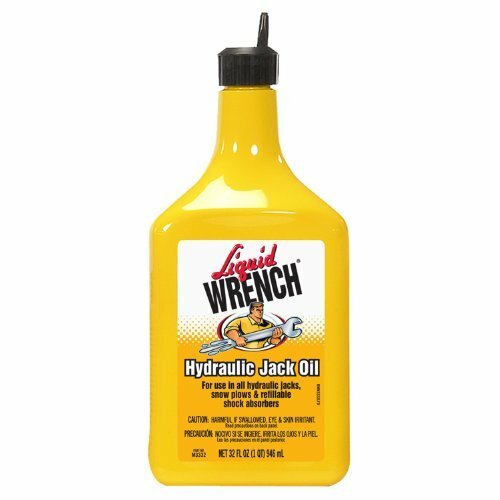 Liquid Wrench L206 Lubricating Oil - 5.5 oz. Gunk Liquid Wrench Multi-Purpose Lubricating Oil Spray lubricates and protects all metal surfaces from rust and corrosion. Displaces moisture and stops squeaks. Loosens rusted parts. 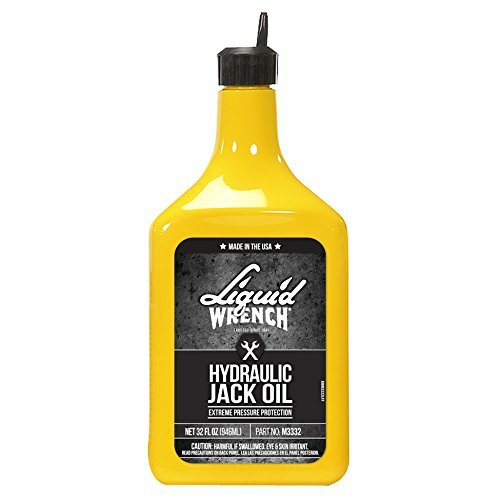 Liquid Wrench M3332 Hydraulic Jack Oil - 32 oz. Gunk Hydraulic Jack Oil is formulated with extreme pressure additives and is ideal for use with all hydraulic jacks. Liquid Wrench L508 Heavy Duty Spray Lubricant with PTFE - 6 oz. Gunk Heavy Duty Spray Lubricant with PTFE is a fast-acting synthetic oil that penetrates rust and tightly fitting parts. It stops squeaks, loosens rusted parts, displaces moisture and inhibits corrosion by providing maximum lubrication like no other product. This lubricant is furnished with a directional 'pinpoint' stream that stays where it is sprayed. Liquid Wrench L666 White Lithium Grease - 16 oz. 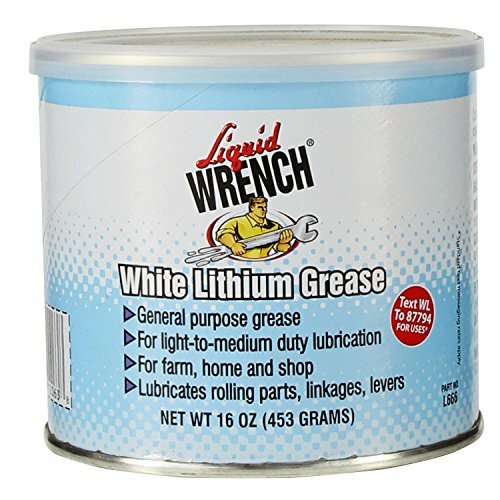 Gunk White Lithium Grease reduces friction in all metal to metal and metal to plastic applications. It protects against rust and corrosion and does not melt, run or freeze. 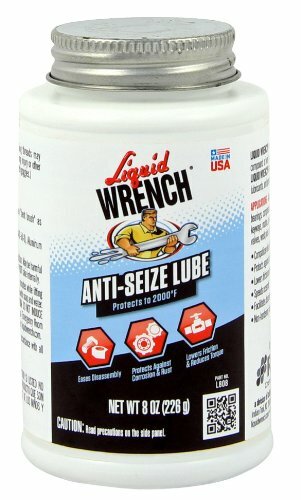 Liquid Wrench L808 Anti-Seize Lube - 8 oz. Gunk Anti-Seize Lube eases disassembly of parts. It is effectively used for assembly of spark plugs, cylinder heads, brakes, and other types of parts where frequent disassembly is needed. Prevents seizing, wear and tear, chafing and friction caused by extreme heat, pressure, or rust. 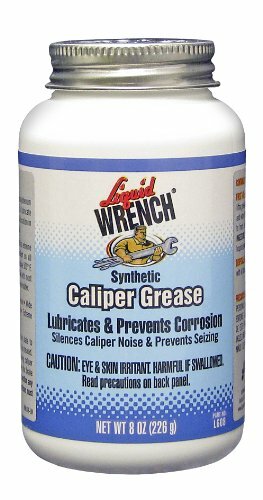 Liquid Wrench L608/6 Disc Brake Caliper Grease - 8 oz. Gunk Disc Brake Caliper Grease is formulated from pure synthetic base oils and treated with the latest rust, oxidation and anti-wear additives to provide lasting protection against friction, wear and corrosion. Molybdenum Disulfide (MOLY) lubricating solids of sub-micron size have been completely homogenized into the product to further enhance load capacity and reduce friction. Offers superior rust and corrosion protection when compared to silicone. Radiator Specialty L1-12 Liquid Wrench Super Penetrant- 11 oz. 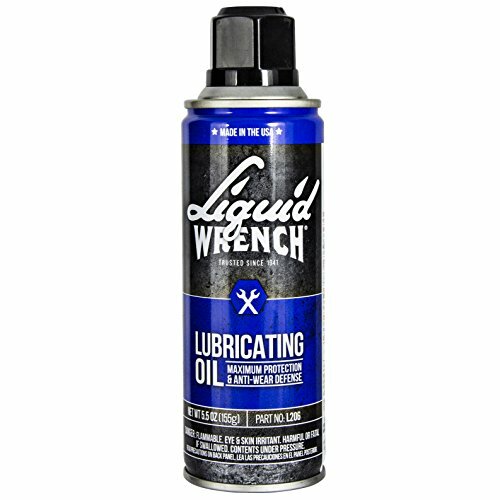 Liquid Wrench Lock & Hinge Dry Lube uses a proprietary, metered nozzle which means no overspray and no mess. New Cerflon-based formula penetrates deep into the lock or hinge, providing superior durability with long-lasting lubrication. http://enjoythedrive.com/ New Formula! Cleans Better, Dries Faster. Quickly dissolves brake fluid and oil. Non-Flammable, Fasst Drying, Leaves No Residue. Dr. Larry Beaver of Liquid Wrench takes viewers through the complete line of products. Compare prices on Gunk Liquid Wrench at ShoppinGent.com – use promo codes and coupons for best offers and deals. Start smart buying with ShoppinGent.com right now and choose your golden price on every purchase.